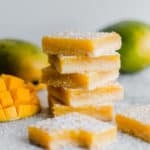 Mango Lemon Bars Recipe – The traditional lemon bar recipe gets a delicious and unique update with the addition of fresh mango resulting in a sweet, creamy filling topped buttery shortbread crust. 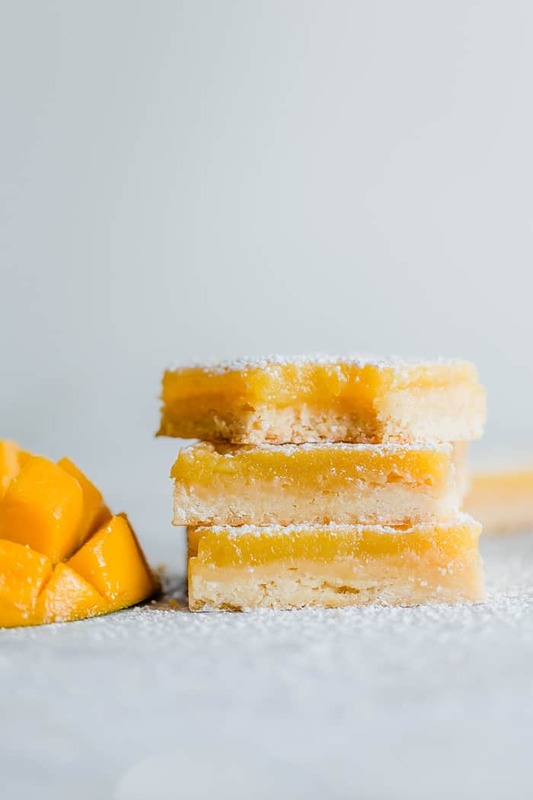 Disclosure: I partnered with the National Mango Board for this Mango Lemon Bars recipe post, but all opinions expressed here are my own. I am grateful for authentic partnerships like this. We are finally in the midst of the fall season. Quilted blankets, hot cider and oversized sweaters help ease the transition from summer days to chilly breezes. 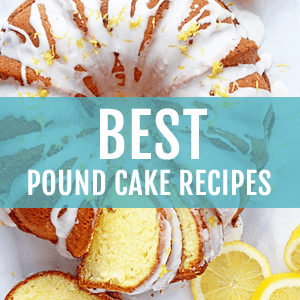 Baking pans find their way out of the kitchen cupboards as we dust off our favorite fall dessert recipes (sweet potato coffee cake or caramel apple cheesecake). Whether we’re making cinnamon rolls or doughy bread, autumn’s beautiful flavors and aromas fill our homes and provide such comfort. 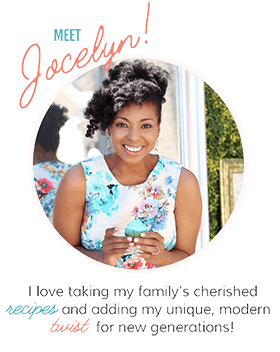 Occasionally, while cozy on the couch with warm tea, I find myself craving something sweet, light and fruity that doesn’t require too much work. 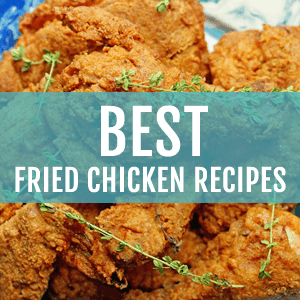 For those moments, I save up a few key recipes that satisfy my craving without compromising freshness or quality. 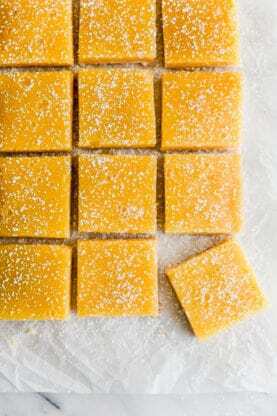 A big favorite of mine is my Mango Lemon Bars recipe. WHEN ARE MANGOES IN SEASON? I have a mind blowing fact for you all. More than 80 percent of Americans believe that the mango is out of season after summer, but the truth is that this delicious, versatile fruit is available fresh year round thanks to the six varieties that have staggered growing seasons. I’ll be the first to admit that I was one of the 80 percent for the longest time. I mean, who knew?! But now that I’ve shared this fact with you the possibilities are endless. That means you need to fully start incorporating mango into your fall baking like I currently am. 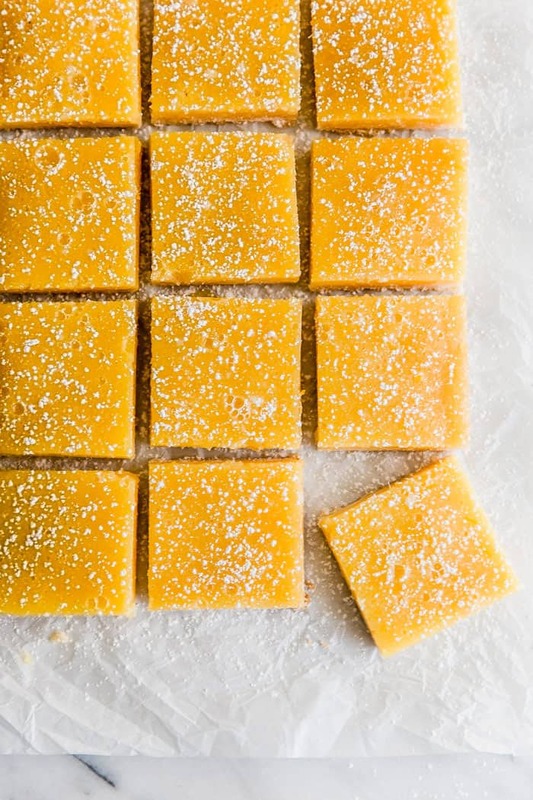 Take advantage of its incredible flavor and bake something unexpected like these mango flavored lemon bars. 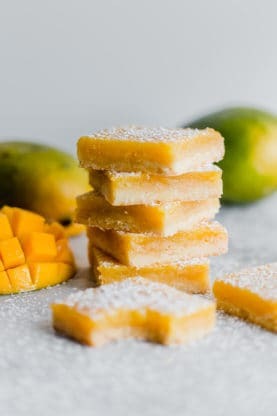 This recipe is similar to the traditional lemon bar except it has an extra tropical flair from the mango that makes them so much better. A perfectly ripe mango should have a firm, creamy texture that almost seems to melt in your mouth. They’re so good on their own that many people don’t bake with them and prefer to eat them as-is. 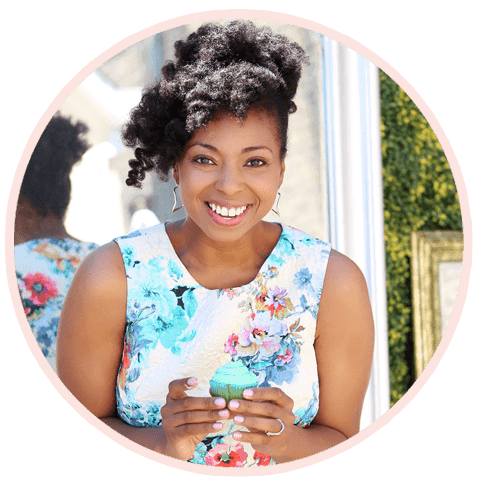 I used Keitt mangos which are perfect for using now since you tend to find them later in the summer season. You will recognize them for their dark to medium-green tone and sometimes with a pink blush over a small portion of the mango. It is perfectly sweet and nutritious as well! The shortbread crust is buttery and crumbly, lending itself perfectly to the custardy topping packed with fresh mango flavor. 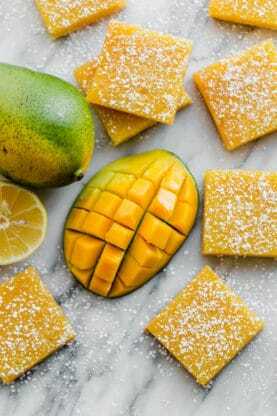 The lemon juice doesn’t take away from the mango, but adds just enough acidity to keep the bars from being too sweet and highlights the mango flavor. Visions and scents of tropical islands are right at your fingertips when you bake a batch of these delicious bars. So as the leaves begin to change their colors and you find yourself shivering a bit more than you did the day before, take a moment to treat yourself to a little vacation. Bake these mango bars, close your eyes and enjoy the comfort that beautiful fall baked goods provides. For the most incredible punch, try this Mango Citrus Fruit Punch. For the ultimate salmon burger, try this Mango Jerk Salmon Burgers. And for additional jerk flavor, these Mango Jerk Wings are calling your name! 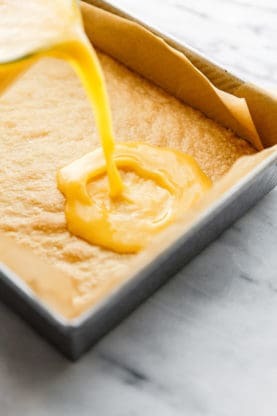 Mango Lemon Bars Recipe - The traditional lemon bar gets a delicious and unique update with the addition of fresh mango resulting in a sweet, creamy filling topped buttery shortbread crust. In a stand mixer, mix together butter, sugar and flour. Press into the bottom of a parchment lined 9x13 inch pan. Bake for 15 to 20 minutes in the preheated oven, or until firm and golden then remove to prepare filling. Add diced mango and lime juice to heavy duty blender or food processor and puree until completely smooth. 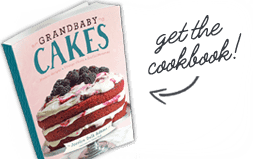 In a medium sized bowl, whisk together granulated sugar and flour to combine dry ingredients. Next, whisk in the eggs, lemon juice, ¼ cup of the prepared mango puree, and vanilla extract. Pour over the baked crust. Bake for 25-30 minutes or until no longer liquidy or jiggly. The bars will firm up more as they cool. Once cooled to room temperature, dust with confectioner’s sugar, cut and serve. Seriously must make!! I love everything about these!!!!!! Oh yeah these look super yummy! Can’t wait to try these. These look so delicious and unique! I love mango and lemon together!